No matter where you may live in America, BBQ is one of the tastiest meals you and your family can enjoy. Whether you want to light up the grill for a special occasion or you want to enjoy a meal with your family, BBQ is a great way to bring the family together. As the winner of the 2017 Best Barbecue Food Truck, Not Just Q knows everything there is to know about BBQ. This includes the varying types of BBQ through America. For example, as a Texan, you might expect BBQ to be a beefy barbecue with a delicious basting sauce. If you live in Kansas City, BBQ tastes a little more sweet and tangy. Depending on the area of the United States you live in, you could be eating various types of delicious BBQ. 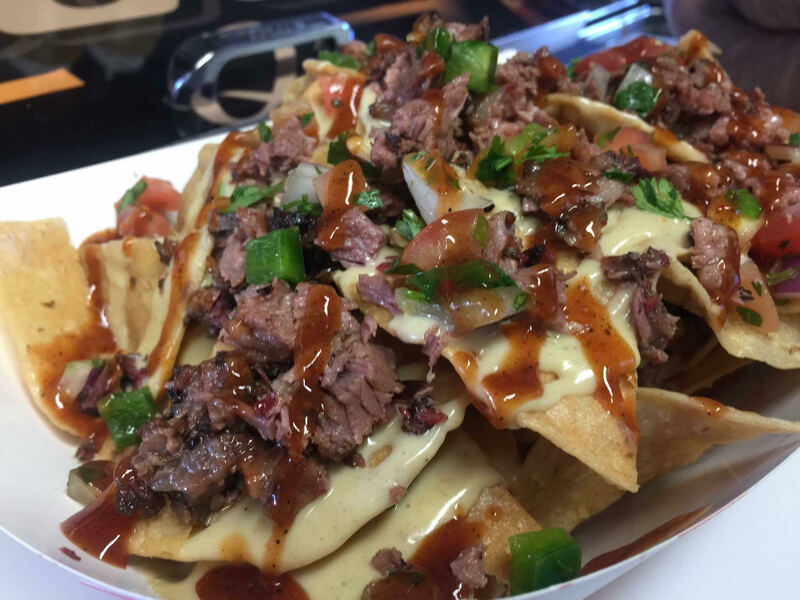 At Not Just Q, we pride ourselves on having mouthwatering, homemade, bold flavors of BBQ that is specifically Dallas, Texas style. We’ll be going over the different states that have various types of BBQ. BBQ is mostly a tribute to the south, but there are some places in the east and the north that make some mean smoked meats. Below, you’ll find a selection of states that are must-visit ones if you’re a BBQ lover. North Carolina is a blend of Lexington, KY, and east coast style of BBQ. It’s a delicious combination of pork with a mixture of spice and vinegar. The pork is brushed with this delicious blend and then it’s cooked. The sauce that it’s served with is ketchup-based and a little sweeter than you might be used to. A signature dish in North Carolina is pork shoulder and ribs. The flavor of the BBQ is an acidic African flavor with a hint of spiciness. 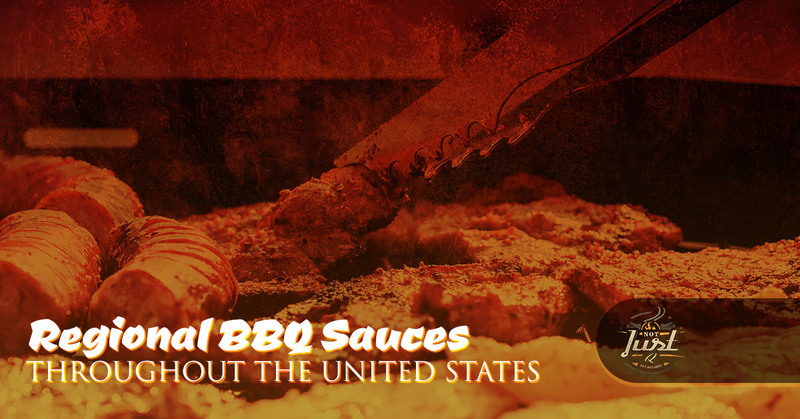 North Carolina is considered to be the mother of American barbecue sauces and has been used for many centuries. Yes, there’s a difference between the two Carolina BBQ dishes. Even though it’s still similar to North Carolina, South Carolina does take a step in another direction when it comes to taste. Pork is very popular in South Carolina; however, the sauce that’s used is mustard-based and there is vinegar and brown sugar that’s used in it. In addition, South Carolina BBQ has more of a smoky tang to it. Mustard is thinned down with vinegar as well as the brown sugar to give it more a tangy flavor. The sauce is slathered on the pork cuts and is used to add some spice and zing to the meat. In Lexington, KY, BBQ is very similar to the Carolina dishes. They use ketchup just like in North Carolina. They also use the pork for the meat. In addition, the style of BBQ is attributed to German descendants that lived in the area. The cooking of the meat and the sauce is a more Bavarian style. The sauce is tangy, sweet, and has a slight taste of vinegar as well. With the BBQ, there’s generally a delicious red slaw as well. If you like more sweet meat with a hint of ketchup, then visit the Lexington Dip. If you know anything about BBQ, then you know Kansas City is one of the few cities in the west that can cook up some tasty dishes. In Kansas City, BBQ sauce is thick, tasty, and sweet. There’s also a slight zing that goes along with it to give it an even bolder flavor. This style of BBQ is thick and gloppy. You can taste molasses and ketchup for the consistency and the flavor. It has more bold flavors from the brown sugar, Worcestershire sauce, and soy sauces. In addition, there are additives such as the liquid smoke for the smokey flavor. Having BBQ in Kansas city doesn’t have any limits. You can get any type of meat in BBQ. The meat is generally slow cooked and there’s a tinge of hickory wood in it. The best dish you can get here is the end of a cut of brisket or burnt ends. We saved the best for last! Depending on the part of Texas you live in, you can expect two different types of BBQ. If you live in Central Texas, then the BBQ is influenced by German and Czech immigrants. This means that any type of meat can be used for BBQ. From brisket to ribs, these dishes are smoked over some oak wood or over pecan wood. In Texas, meat is king and it’s nothing short of mouthwatering. The sides and the sauce are what really makes it here. You can get different types of sauces too from style-mop to a basting sauce. If you live in East Texas, then you can expect to have BBQ that’s both beef and pork drenched in sauce and in between two buns. When you come to Texas, you’ll expect to eat meat that’s filled with bold and savory sauces. If you ever need a quick bite of BBQ to tie you over after reading our deliciously savory blog, our authentic Texas BBQ is known to be a great option. Not Just Q has high quality meats, authentic BBQ sauce, and delicious sides. 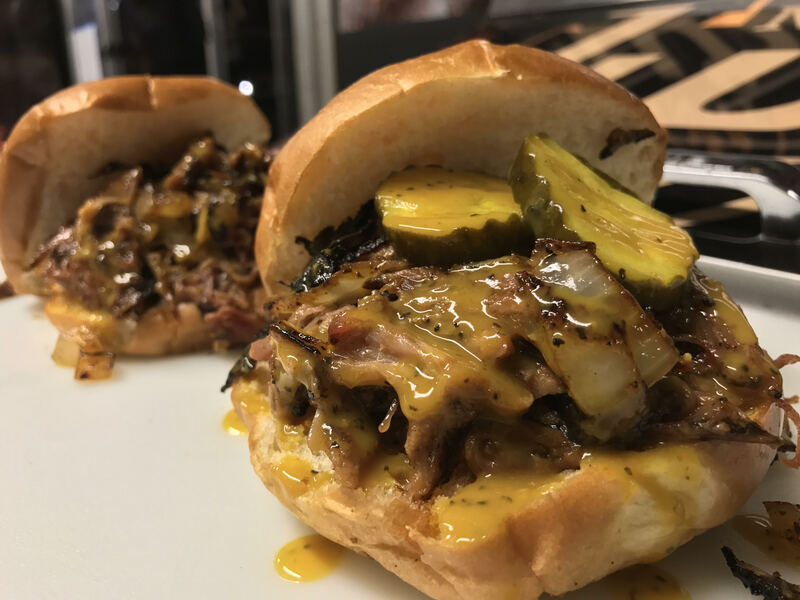 Whether you hire us for catering or you stop at our food truck, we have a selection or smoked meats that are classic with bold flavors.